Class actions are among the most powerful legal tools available in the US to enforce competition rules. With more than 75 years of experience, the American system offers valuable lessons about the benefits and drawbacks of class actions for private enforcement in competition law. Once believed of as only a US phenomenon, class actions are slowly becoming reality in the EU. After the adoption of the Directive on damages actions in November 2014, the legislative initiative in collective redress (which could prescribe a form of class actions) is expected in 2017. Some pro-active Member States have already taken steps to introduce class actions in some fashion, like, for example, Germany. What is a class action? It is a lawsuit that allows many similar legal claims with a common interest to be bundled into a single court action. Class actions facilitate access to justice for potential claimants, strengthen the negotiating power and contribute to the efficient administration of justice. This legal mechanism ensures a possibility to claim cessation of illegal behavior (injunctive relief) or to claim compensation for damage suffered (compensatory relief). Throughout the years, US class actions have become an important tool to strengthen good governance in the sports sector. Due to alleged antitrust infringements, US sports organizations have been hit with a series of class action lawsuits. The most recent and the most prominent example is the antitrust class action lawsuit O'Bannon v. NCAA. On 8 August 2014, the US District Court ruled in favour of former UCLA basketball player O'Bannon and 19 others, declaring that the National Collegiate Athletic Associations’ (NCAA) longstanding refusal to compensate athletes for the use of their name, image and likenesses (NILs) violates US antitrust laws. Previously, the college sports governing body required student-athletes to sign ‘Form 08-3a’ in which they authorize the NCAA to use their “name or picture to generally promote NCAA championships or other NCAA events, activities or programs”, without receiving compensation. If the NCAA loses the appeal, it must allow schools to give athletes some of the money they bring in by licensing their NIL. For further discussion on the O’Bannon case, see my previous blog. In the EU, however, antitrust class actions remain an underrated remedial option in EU competition policy and the sports sector (the same is true for competition law in general). As is well known, sports federations often have practical monopolies within certain markets. In particular, due to the substantial economic revenues of these markets, sports federations have the tendency to abuse their dominant position in contradiction with Article 102 TFEU. It is not unthinkable that the positive experiences with class actions in the US may serve as an inspiration for victims in the EU to go against powerful sports organizations. Here, useful insights may be derived from the German Handball case, which can be used as an example to explore the potential of class actions as a remedy. On 15 May 2014, German Bundesliga teams (30 of them) won the antitrust case against the International Handball Federation (IHF) and the German Handball Federation (DHB) at the regional court of Dortmund (Landgericht). For further discussion on the 2014 Dortmund judgment, see here. The Court in Dortmund held that an obligatory release system of players for activities of their respective national teams without compensation constitutes an abuse of a dominant position prohibited by German competition law (§ 19 Gesetz gegen Wettbewerbsbeschränkungen, GWB) and Article 102 TFEU, while it also breaches the principle of good faith in contractual performance. Until the judgment, German Bundesliga clubs had no other way but to release their players if they were invited to join their national team within the international calendar. According to the IHF Player Eligibility Code, “a club having a foreign player under contract is obliged to release such player to his National Federation if he is called up to take part in activities of that federation's national team” (Article 7.1.2). Furthermore, a club releasing a national player was not entitled to receive any kind of compensation and in the event of personal injury the insurance coverage was not provided (Articles 7.2-7.3). After the judgment, the IHF and the DHB should pay a fair compensation for the time of the release of the player. On the one hand, both cases have striking similarities. The judgments concern antitrust infringements by powerful sports federations, the IHF (also the DHB) and the NCAA respectively. Professional clubs / student athletes in both cases are not entitled to compensation due to the rules that have been set by sports organizations. The German case concerns the obligation for professional clubs to release players to national team events without receiving compensation, while the US case concerns the prohibition for student athletes to receive compensation from NIL. On the other hand, although both cases concern antitrust infringements by the sports organizations, they also have vital differences. Most importantly, the O'Bannon case is an antitrust class action lawsuit filed against the NCAA. This class action proved to be a powerful instrument that managed to jeopardize the long-standing fundamental principle of amateurism on which the whole economic and social system of the NCAA lies. Until now, however, the 2014 Dortmund judgment has been an ordinary litigation according to German law. However, it does share some similarities with O’bannon that may justify a class action in the form of an injunctive relief (at least, in the first instance), subject to some exceptions. What is injunctive relief in class action cases? According to the European Commission, the courts should treat claims for injunctive orders requiring cessation of or prohibiting a violation of rights granted under EU law in order to prevent any or further harm causing damages. According to the German law, in case of danger of recurrence, the infringer has to refrain from his conduct. Perhaps surprisingly, the 2014 Dortmund judgment already fulfils the conditions for an indirect class action for an injunction. First, a group of claimants (a total of 30 Bundesliga clubs) sued the IHF and the DHB before the regional court of Dortmund. 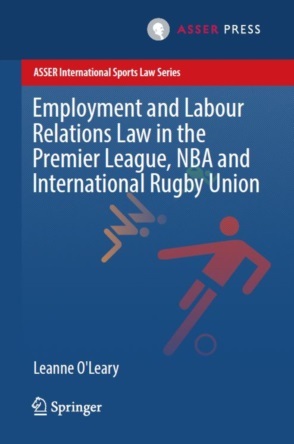 They argued (together) that mandatory release of players to the national team constitutes an abuse of a dominant position prohibited by EU and German competition law. The Dortmund court ruled in favour of the handball clubs. It seems that handball clubs only seek the cessation of the unlawful practice, yet they have not claimed the compensatory relief, aimed at obtaining compensation for damage suffered. Second, the claim has been initiated by victims of antitrust infringement. Under the GWB, victims are allowed to bring private actions for injunctive relief in 101 and 102 TFEU infringement cases (Sec. 33). Third, the Forum Club Handball (FCH) financially supported the court case. This may appear as third-party financing since the financial support was provided by a private third party who is not a party to the proceedings. Although the handball clubs dropped a quiet collective bombshell, the action cannot be considered as a real class action. Simply, there was no intention to pursue a class action. Another point is that the legal standing to bring the representative action has been limited to a law firm. In Germany, collective antitrust action can be brought by a body, which has a legal standing and to whom the claims of victims of a cartel have been assigned (Sec. 33 (2) GWB). Similarly, under Sec. 8 of the German Unfair Competition Act (UWG), the claims can be sought by: a) competitor; b) qualified entities listed with the Federal Office of Justice or, in case of foreign entities, with the European Commission; and (c) by Chambers of Industry and Commerce or Craft Chambers. For these reasons, the action brought by the clubs cannot be classified as a class action, because they have chosen to be represented by an attorney. It is not unthinkable that eventually the case will appear before the court as a follow-on compensatory class action, if the IHF and the DHB lose the appeal (if necessary, the proceedings before the Court of Justice). Compensatory class action: why it could be a big deal? If the handball clubs achieve an injunction in the final Court decision, the follow-on representative action for damages may be brought against the IHF and the DHB. Some provisions in German law facilitate the incentives to bring damages claims for antitrust infringements. According to Sec. 33(4) GWB, antitrust class actions should be brought after a final decision of a public authority finding there has been a violation of competition law. Furthermore, the 8th Amendment of GWB broadens the scope of the legal standing in such a way that all associations of undertakings that are affected by an infringement, as well as consumer associations, are in principle able to claim the enforcement of German competition law in courts (including by demanding damages). Yet it appears that the UWG provisions are not applicable in this case. Under Sec. 8 available remedies allow to pursue only injunctive relief. Under Sec. 9 damages are claimed by competitors (only). Sec. 10 aims at skimming off profits (paid to the Treasury), but not at compensating victims. Due to the fact that illegal profits go to the Treasury in successful cases, the handball clubs would potentially not be happy with the expected outcome. If the IHF and the DHB lose the appeal, the handball clubs can to a significant extent rely on the final decision. Considering that an indirect form of collective action has already been pursued by the handball clubs in the first instance, a common consent of the parties involved in the case (the major condition for class action) can be easily achieved. Still, the major concern is to solve the issue of legal standing. An actual example of class action that goes with the grain of the German law and is the Cement Cartel Case, in which 28 damaged companies purchased the cartel-related claim to Cartel Damage Claims group (CDC). It is a Brussels based professional litigation that turns burdensome claims into valuable assets, taking the hassle of quantification and subsequent enforcement. The substantiation of the claim is based on evidence gathered from the cartel proceedings and the damaged companies. In the context of the German handball case, CDC could commence the acquisition of damages claims from handball clubs and then file the collective antitrust damages action against the IHF and the DHB. This is in line with the Sec. 33 GWB under which CDC has legal standing and to whom the claims under Art. 101 and 102 TFEU have been assigned. An action brought by CDC is attractive to the handball clubs because it would strengthen the negotiating power and would reduce litigation costs, as the claim is led (or even purchased) by CDC. If the conditions for the admissibility of class action are fulfilled, the IHF and the DHB should fear potential damages. In particular as a result of the inconsistent application of the Player Eligibility Code, the claimants are in a favourable position. Despite the fact that the Code states that “a club releasing a national player shall not have any claim to compensation”, the IHF agreed to pay compensation to the clubs for the release of their players to the national team during the 2011 and 2013 World Championships. To make matters even worse, the IHF provided insurance for the players’ salaries in case of personal injury (contrary to the Article 7.3.2). This suggests that in principle a compensation and insurance coverage are compatible with the Eligibility Code and thereby the interests of the IHF are not jeopardized. The perceived inconsistency provides more clout to the claimants, suggesting that the harm has already been presumed. If the plaintiffs achieve an injunction in Court, they potentially may claim broad compensation, including other undisputed World Championships, the Olympic Games, continental championships as well as the qualification matches and tournaments for these events. However, it is even not the worst potential outcome for the IHF. Indeed, due to the Court of Justice (CJEU) decision in Case C-302/13 flyLAL-Lithuanian Airlines, potentially all handball clubs from EU Member States can claim damages from the IHF, if they are part of the federation. In that case, the Latvian Supreme Court sent a request for a preliminary ruling under Article 267 TFEU, asking whether a Lithuanian court judgment ordering provisional measures in a damages case can be recognized and enforced in Latvia. The CJEU ruled that actions brought by undertakings seeking redress or compensation for damage resulting from alleged infringements of EU competition law, can be qualified as a ‘civil and commercial matter’, within the meaning of Article 1(1) of Regulation No 44/2001, and enforceable in Latvia under the provisions of the said regulation. Thus, the CJEU opened a wealth of opportunities for handball clubs (if the final decision in Germany is successful) to claim damages wherever they are based on the EU’s territory. Given that follow-on damages claims have a high success rate, the winning chances are high. Hence, since the common legal and factual features of each individual claim are observed, the class action would be an effective instrument to obtain redress, also adding to the deterrence goals. 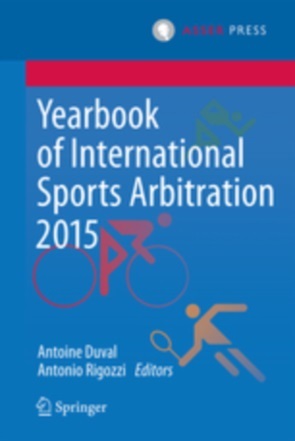 Compensatory class actions: a powerful instrument to ensure better governance in sport (federations)? If the German handball clubs bring a compensatory class action, it has the potential to become an important precedent for many other sports. One successful case may open a Pandora’s Box that would put a lot of pressure on the sports federations’ regulations. By forming the group, claimants (such as handball clubs) are able to bundle individual claims and thus trigger efficiency gains by tackling common legal, factual and economic issues collectively. As such, the defendants can handle the risks attached to private litigation and the probability of winning the case increases since multiple plaintiffs have larger financial means. Therefore, a group of claimants having larger financial means can employ more qualified lawyers and economic experts for antitrust cases. A package of collected claims from victims are easier introduced and defended before the court, meaning that damages are proved with sufficiently high probability and thus the chance of receiving compensation is high. When focussing on sanctions, class actions appear to deter abusive conduct, therefore strengthening good governance in sport. If all victims can sue a sports federation, the group will force the infringer to internalize the negative effects of the damage caused as close as possible to the full-compensation principle that is embedded in the EU reform on private enforcement. Sport entities, knowing that class actions may be used against them and anticipating that the expected cost of the infringement may increase significantly, would think twice before violating the competition rules. The achievement of better governance would solve, or at least diminish, the problem of under-enforcement of EU competition rules in the sports sector. Even if the handball case does not result in an antitrust class action, victims from other sports should pay particular attention to such a fruitful litigation model. It was adopted Commission Recommendation of 11 June 2013 on common principles for collective redress mechanisms in the Member States for injunctions against and claims on damages caused by violations of EU rights, COM (2013) 3539/3, 11.6.2013 (‘Recommendation’). Recommendation COM (2013) 3539/3, Sec 14-16.
 http://www.carteldamageclaims.com/portfolios/cdc-german-cement-cartel/. On 17 December 2013 the Regional Court of Düsseldorf dismissed the action in its entirety [Case No. 37 O 200/09]. CDC has appealed the judgment to the Higher Regional Court in Düsseldorf. See http://www.forumclubhandball.com/?p=707 and http://www.forumclubhandball.com/?p=707. The outcome had been reached after the negotiations with the FCH in 2010-2011. The IHF decided to pay compensation for the release of players to the 2011 and 2013 World Championships. Z. Juska, ‘Obstacles in European Competition Law Enforcement: A Potential Solution from Collective Redress’ (2014) 7 EJLS, 149.